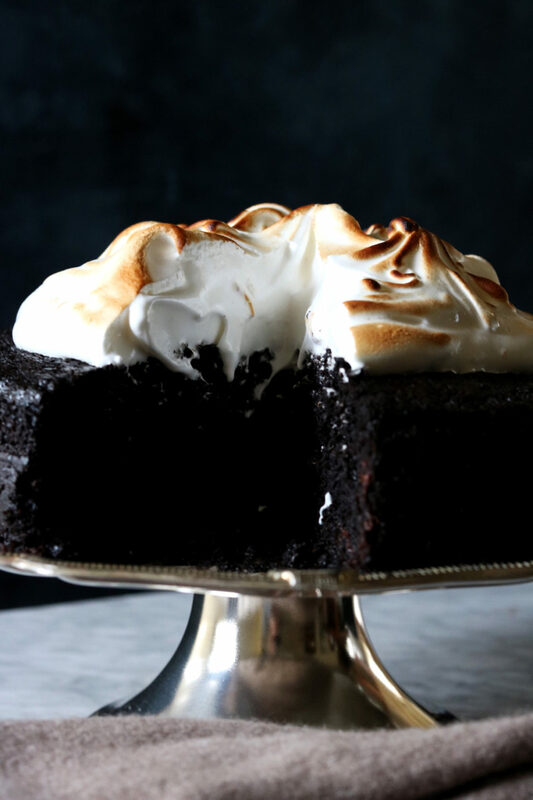 I mean…I’m not sure what else to say, but look at this stout cake. This is a beautifully damp cake. The rye-stout combo, while bold in its own right, hangs back and lets the chocolate notes take center stage. This combo does double-duty by also keeping overt sweetness at bay. The birth of this cake started with dreams of cream cheese frosting…which is pretty standard issue for a stout cake. That bubble was burst as it made the cake too cloyingly sweet. If I say something is too sweet, it’s too sweet. 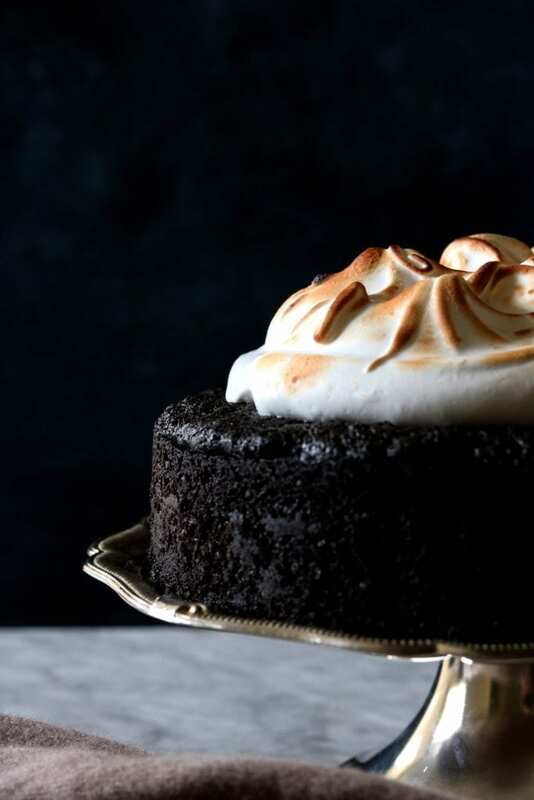 Enter marshmallow meringue with a splash of Irish whiskey. Perfect….just perfect. 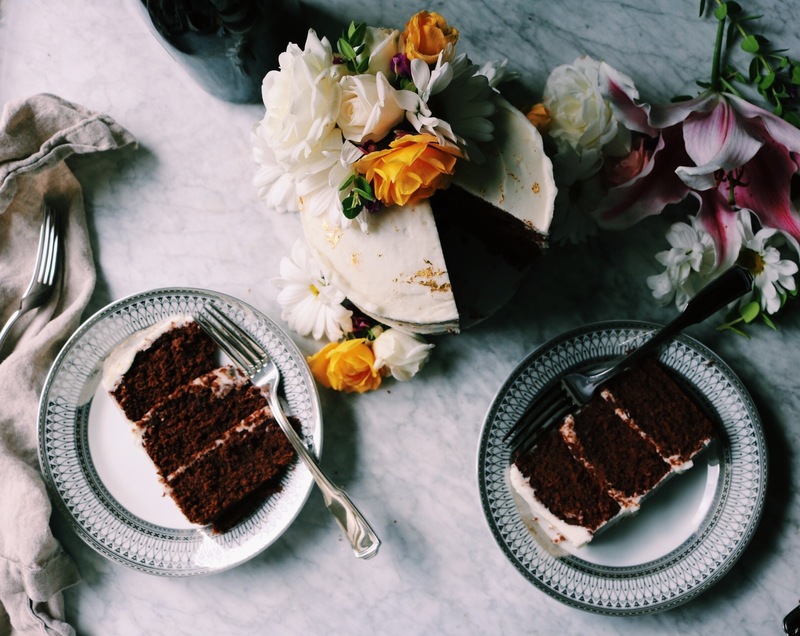 As if she wasn’t winning enough, this stout cake is so easy to throw together. Wet ingredients blended, dry ingredients whisked, a brief introduction and then they’re thrown into a cast iron and baked for just over 30 minutes. She puffs up quite a bit when baking and then lets out a sigh when removed from the oven. She’s got character. I like it. I used extra dark unsweetened cocoa powder, but I have also made this stout cake with regular unsweetened cocoa. Go with your preference or with what you have in your cupboard. If you don’t want to use a skillet, I highly recommend a 8 1/2-inch springform pan — it turns out beautiful!!! Make sure you adjust your bake time if you use a different baking vessel. I don’t think you would have read this far if booze wasn’t your thing…but just in case, here are some suggestions… You can replace the stout with fresh-brewed coffee/espresso or more buttermilk and you can completely omit the whiskey and the meringue will still be aces. Let the cake cool completely before you put the meringue on. This is very important or your meringue will melt before it has time to get all George Hamilton-bronzed. During one test I felt frisky and added cardamom. Half of us liked it and half (the kids) did not. If you like cardamom, consider adding 1-2 teaspoons. It adds this freshness to the cake that leans towards minty. Refreshing to some, off-putting to others. Just wanted to note. 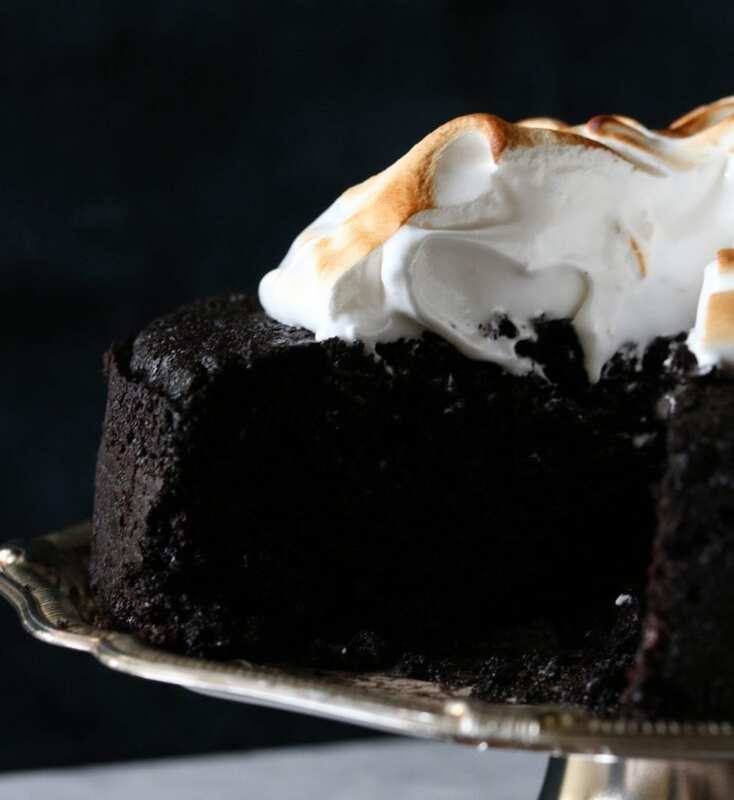 This stout cake can stand on its own, with no meringue or topping at all. It would be delicious with a scoop of vanilla ice cream? You can have your dessert mixed and baked in under an hour if you do forgo the meringue. Think about it. We loved this so much, we didn’t bother to cut slices (minus the one for the photos). If you scroll to the bottom photo you’ll see that we ate it like a bunch of animals. Ain’t no shame in our game. *Meringue topping from this delicious recipe. Preheat your oven to 350 degrees F. Make sure you have a rack in the middle of the oven. Butter + flour either a 8 1/2-inch springform pan or a ten-inch skillet. Set aside. In a medium bowl, whisk together the flour, cocoa powder, rye flour, baking powder, baking soda and sea salt. In an electric stand mixer fitted with the paddle attachment, add your butter, granulated sugar and brown sugar. Beat on medium until light and fluffy. Add in your eggs one at a time and mix on low until each one is fully incorporated. Take care to scrape the sides and the bottom of the bowl to make sure everything gets mixed in. *This could likewise be done with a bowl and spatula. Add your buttermilk, stout and vanilla to the butter mixture and mix on low until everything is blended together. Again, make sure to scrape down the sides and the bottom of the bowl. Transfer the flour mixture to the mixer and blend on low until just combined. Add in the 1 cup of chocolate chips and mix by hand until fully incorporated. Do not over mix. Pour the cake batter into the buttered skillet, smoothing out the top a bit. Put into the oven for 35-40 minutes for the skillet or 40-45 minutes for the 8 1/2-inch springform, with a rimmed baking sheet underneath to catch any overflow (I didn’t have any, but it puffed right up to the top of the pan). When done, the cake will look firm but have a slight wiggle beneath the cracked surface. Set the skillet on a cooling rack to cool completely. To make the topping, clean and dry your electric-stand mixer bowl completely and add the whisk attachment. Add the egg whites and beat the eggs until soft peaks form. Go on medium-high speed and you should get there in under 5 minutes. Increase the speed and gradually and add the sugar, cream of tartar, whiskey and vanilla until stiff peaks form…I put the sugar in one tablespoon at a time. Don’t over-whisk the egg whites… you want them to be shiny and hold stiff peaks. If you go too far they’ll be stiff but not smooth. Heat up your broiler. Make sure a rack is about 8 inches from the heat. ***You could also use a kitchen torch for this!! *** Dollop this marshmallow merengue on top of the cake, leaving a one-inch border around the outside of the cake. Put the cake in oven and broil until the tips of the merengue are browned, about one minute. This cake is best served the day it is made, but if wrapped tightly and stored in the refrigerator it should last another day or two. After all the fuss with the name of this cake, I’m now thinking we should just call it Irish Booze Cake, no? Recently on DisplacedHousewife: Tart Cherry Almond Scones, Harissa Sliders with Feta-Harissa Secret Sauce, Brown Butter Muscovado Snickerdoodles, Gluten-Free Chocolate Chip Cookies, Double Chocolate + Banana Granola, Pecan-Crusted Goat Cheese Salad with Blood Orange Tahini Dressing, Braised Datil Chicken with Olives and Oranges, Fluffy Pancakes, Blood Orange Scones, and Loaded Aloha Cookies. All my chickens are laying eggs!!! It’s a revelation. Seriously, we all need chickens. We had the sweetest girls stay with us from the Danish National Girl’s Choir. They sang like angels and we’re so kind and interesting…we wish they could have stayed longer. Please tell me you guys are watching the show Teachers?!?! OH my gosh this looks like it has so much flavor and that dark color of the cake! Love it! Wish someone would make this for me! OMG, I just saw you eating this beauty on IG stories and had to come right over to check out the new photos and recipe. Wow! A total stunner Rebecca! 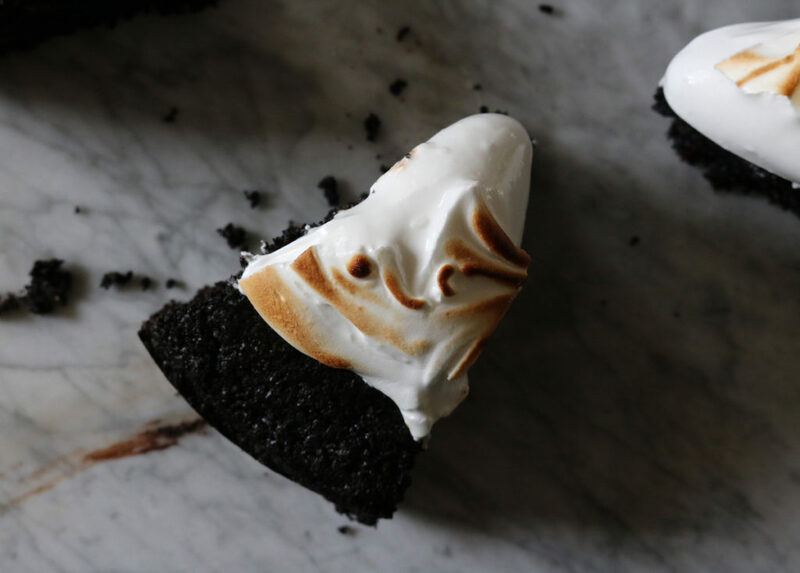 The marshmallow meringue on top is killer. Love my kitchen torch! Makes everything look so pretty! Wish I had a piece this very minute!! This is all the right kinds of chocolatey goodness! Yummm! 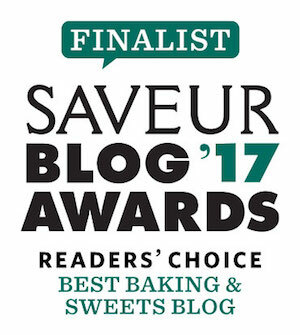 Looove your creative addition of whisky marshmallow meringue! What a cake! 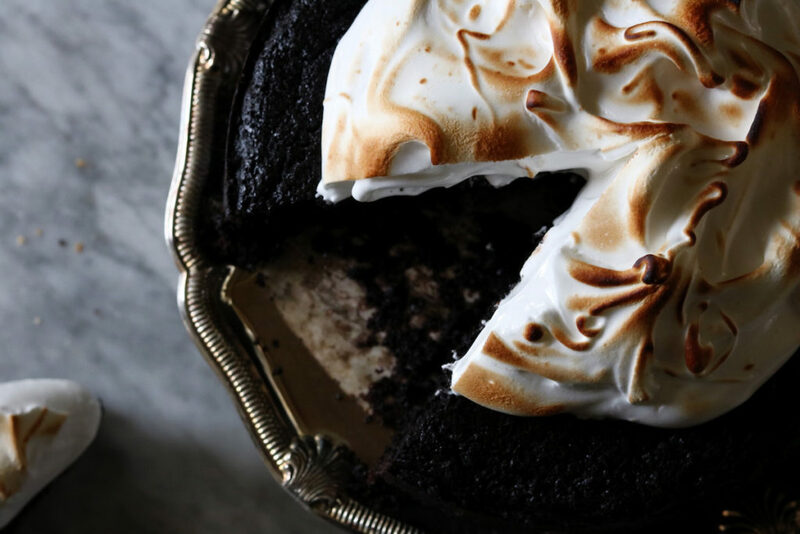 I love the richness of the dark cocoa and that whiskey meringue is just dreamy! Going on the list to make for next week! I have buttermilk to use up and let’s just pretend it’s someone’s birthday… But also, BOOZE. Love it! where is the dancing leprechaun emoji? yum! i bet the rye is such a nice partner to the chocolate. and love that you reinvented the frosting instead of going with cream cheese! all the luck to you, xo. now that’s the way to eat cake! plates are completely overrated. hooray for stout and whiskey! this cake IS what St. Patrick’s Day is all about. Cheers!! Whoa Rebecca! This cake looks so chocolatey and delicious! 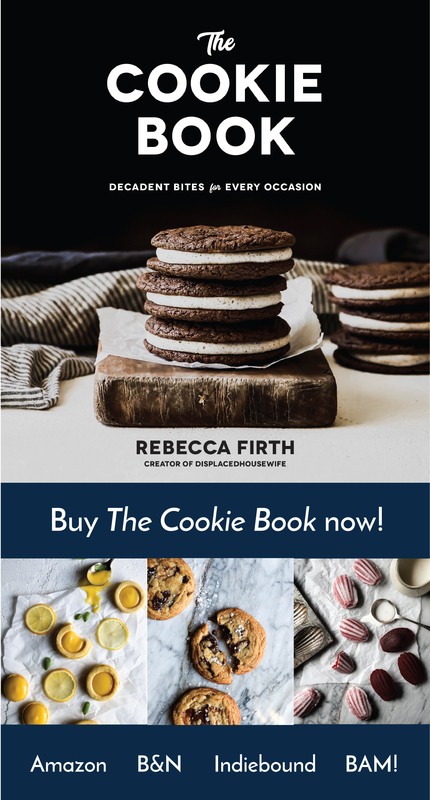 Decadent for sure! 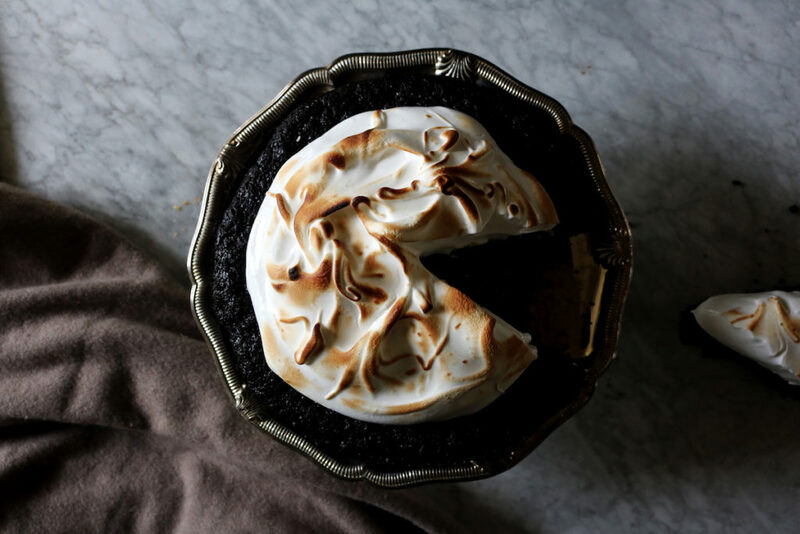 And that marshmallow whiskey meringue….I can’t stop drooling! Love it!! OMG I absolutely love the merengue topping! I have to try this!